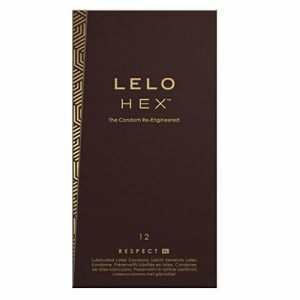 The Lelo Hex Respect is a further revolution in condoms. The Hex Respect brings the joy of this new design to a larger size. Now perfect for the more endowed guy. 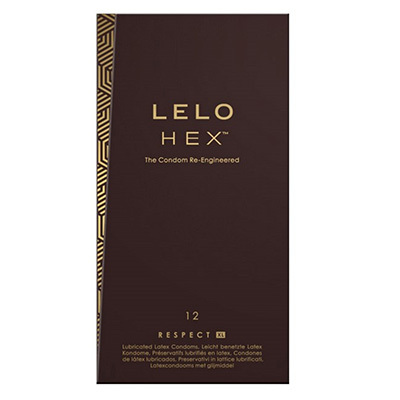 The Lelo Hex Respect increases the girth of this condom from a diameter of 54mm to a new larger size of 58mm. This increased girth makes it more comfortable and less restricting for some. But it is important to ensure you are using the right size for your own circumstance. Lelo Hex Respect – wider and more comfortable for larger guys. Through using a hexagonal design the strength has been greatly increased over traditional condoms. 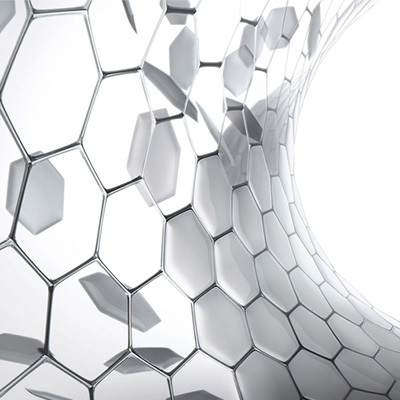 The inspiration behind the use of the hexagon has come from nature. This shape is used extensively in constructions like bee hives because of its unparalleled strength. Hexagons also fit together to maximise the use of space, so no weak spots. Not only strength, but the use of the hexagonal design has allowed the Lelo Hex Resect to be incredibly thin. Thus increasing sensitivity. The Lelo Hex is also ultra thin. The skin is only 0.045mm in width. This super thinness allows for an almost skin to skin sensation. You will also be able to feel body warmth through the condom it is so thin. Further increasing sensation. Each condom comes in a secure individual satchels. The satchels are designed for safe easy tear opening, so not interrupting the moment. Also available in the regular size Lelo Hex 12 Pack.